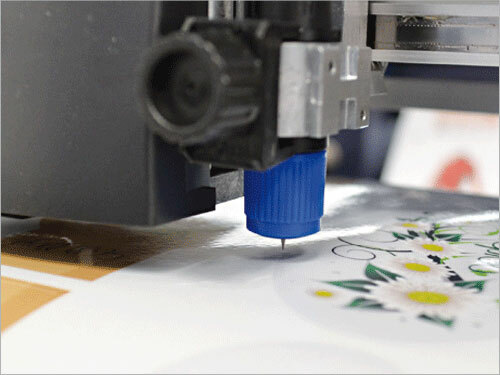 - SCR22 : The digital label finisher with no lamination module ideal for those who use pigment-based ink / laser technology printers (water and fade resistant). 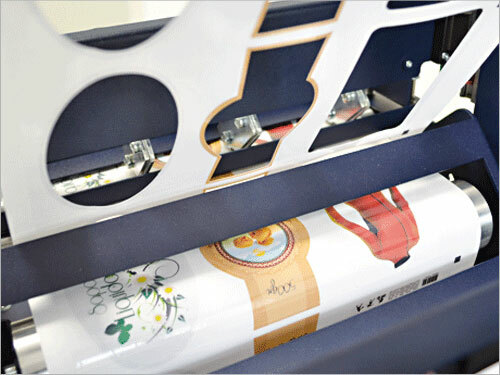 - SCR35 : The finisher for wide-format,with no lamination. 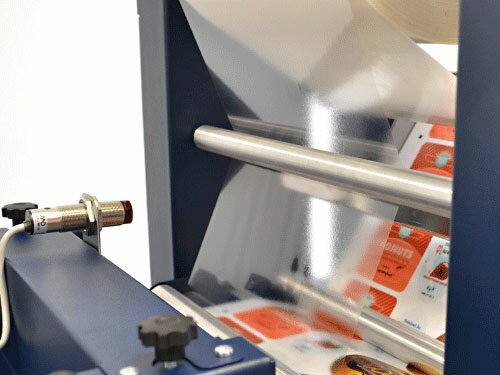 - SCR35PL : The perfect match for wide-format digital color label presses. 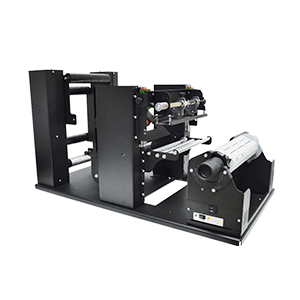 Optical Sensing D.P.R. 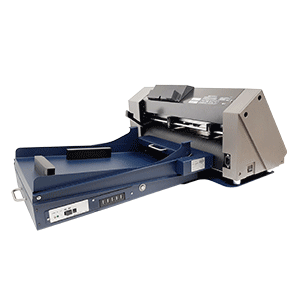 Scorpio series use a camera forming an integrated optical black-mark registration system allowing to read one black-mark for each cutting layout. Optimizing cutting speed. No synchronization issues. 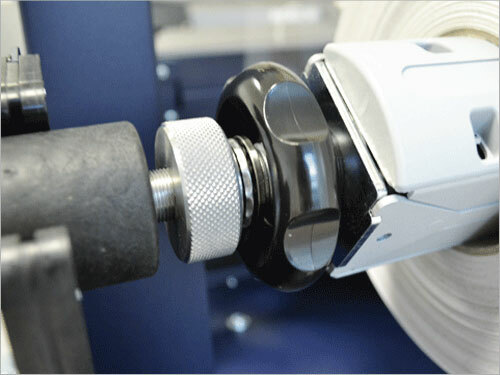 Adjustable Clutch This feature allows to obtain flat tight finished rolls and waste material neatly rewound. Size Does Matter D.P.R. 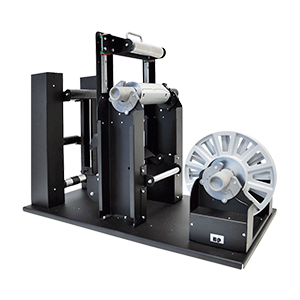 Scorpio series size help operators have more room to easily and quickly load the media and get the machine ready to work in a few minutes. Media Track D.P.R. 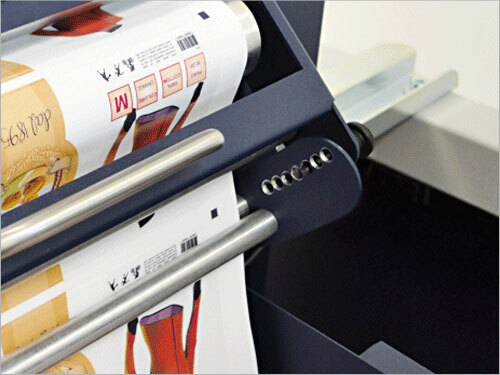 Scorpio series are equipped with an ultrasonic sensor system that generates a loop of media both in plotter input and output in order to guarantee a smooth media track during the cutting operations. Slitter Blades D.P.R. Scorpio series are equipped with inexpensive multi edge blades. Blade life extended 4 times as much. Blank Labels D.P.R. Scorpio seires can cut blank labels. Through the Scorpio software, operators only need to set label step. No printed black-mark required on the media. Software D.P.R. Scorpio series come with a tailored software to be installed on any computer customers own. up to 355 mm (14”) wide. Matrix Rewinding D.P.R. 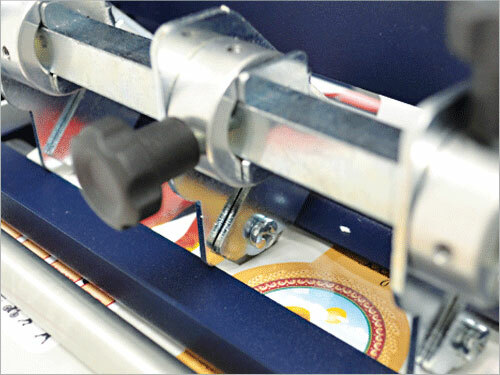 Scorpio series feature synchronized Motorized Core Holders that avoid any matrix tear while removing and rewinding. Easy To Move D.P.R. Scorpio series are equipped with four wheels that allow to easily move the machine.